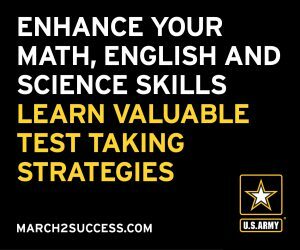 Earlier this year, Representative Jim Banks (R-IN) and Senators Ben Sasse (R-NE) and Tim Scott (R-SC) introduced House and Senate versions of the Military Education Savings Accounts Act (HR 5199 / S 2517). 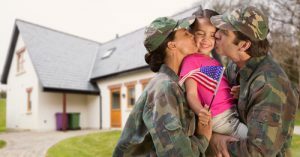 This bill would create an Education Savings Account (ESA) program that would allow children with an active-duty parent in the military to use a voucher to attend a private school. National PTA opposes this bill as it would divert much-needed public funds away from public schools and into the hands of unaccountable private schools. ESAs are simply private school vouchers by another name. They shift public money—in this case, federal taxpayer dollars that would otherwise be used to fund public schools—to expenses including private school tuition and homeschooling. National PTA opposes any use of public dollars to fund private schools. We must adequately invest in public education and strengthen our system of public schools, not divert public school funding into private schools that are not accountable to the public and create division and separation throughout the community. Like all voucher programs, this program would undermine public education and harm students. However, this military ESA program has additional problems unique to its funding and the population it would impact. Impact Aid is a program that helps fund school districts that lose local tax revenue (which traditionally funds public schools) because their district includes federal tax-exempt land such as military bases, national parks, Native American reservations or federal housing. Reducing Impact Aid funding for public schools and funneling those dollars to private schools would significantly undermine the public schools that serve the majority of military-connected students. It would leave those students, as well as the non-military children at these public schools, to attend a school with fewer resources. The voucher program would only benefit those families who can afford to enroll their children in private schools. The voucher amount is $2,500 (with a small percentage of $4,500 vouchers available for students in “heavily impacted districts”), but the average annual cost of a private elementary school is $7,700 and high school is $13,030. Military families would be left to pay the remainder of the tuition. The men and women who serve our country deserve excellent public schools for their children—not private school vouchers, which undermine religious freedom, strip students of rights and protections, lead to declines in students’ education outcomes and lack accountability to taxpayers. To learn more about this proposal and how it would be detrimental to public schools, visit the National Coalition for Public Education’s page on vouchers for military-connected students. And to learn more about National PTA’s positions on vouchers, visit our website. Founded in 1978, the National Coalition for Public Education supports public schools and opposes the funneling of public money to private and religious schools through vouchers, tuition tax credits, education savings accounts, and portability.